Overview Abnormal uterine bleeding (AUB) is a common gynecologic complaint, accounting for one-third of outpatient visits to gynecologists. AUB can be caused by a wide variety of local and systemic diseases or related to medications. The most common etiologies in nonpregnant women are structural uterine pathology, anovulation, disorders of hemostasis, or neoplasia. This section will mainly focus on adults who are not pregnant. AUB includes amenorrhoea, menorrhagia, polymenorrhoea, oligomenorhea, intermenstrual bleeding, etc. 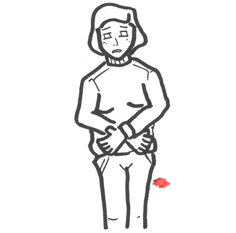 Amenorrhea: refers to absence of bleeding for at least three usual cycle lengths. Is the uterus the source of the bleeding? Is the patient premenarchal or postmenopausal? — The differential diagnosis of AUB for reproductive-age women differs from that of premenarchal or postmenopausal patients. Thus, it is important to establish the reproductive status of the patient. Is the patient pregnant? — All patients with AUB should have pregnancy testing. What is the bleeding pattern? 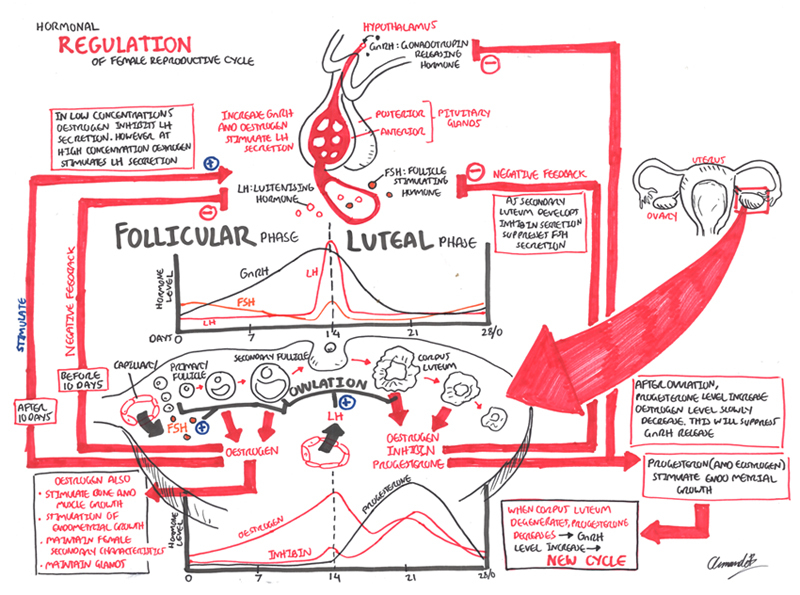 Abnormal menstrual cycle? After pregnancy has been excluded, endometrial sampling should be performed in women with AUB at an increased risk of endometrial hyperplasia or cancer.